In 2012 we have seen a spate of movies in Tamil targeting the education system. What we have to keep in mind is even though these directors/movie makers have their heart in the right place movies can hardly provide a proper solution. In the end they need to make money and for that they need to be over dramatic and can hardly show reality after a certain point. Suddenly people have started to take a good notice about our education system. The higher mark equals brilliance concept in our system is one of the most outdated concepts ever. Students (except for a few) hardly learn anything but get the required marks to get over the line. The interesting situation is when the teachers call the parents and complain that their kid isn’t doing well in studies. This is funny because the parents are paying a fortune to put the kid in that school and the fact that they are unable to educate him/her should be a warning signal. The parents put their kids in a private tuition and voila he starts to pass. Now my question to all the parents is this, if a tuition teacher can make your kids pass (Even though he isn’t imparting any great knowledge) then why does he need the school? Why can’t he just go to 3-4 tuitions and just take his exams, doesn’t that make sense? To be frank the problem is that in a class of 40 about 20 will probably pass in all subjects, the rest will fail at least in one. The teachers are mostly worried about only the top 20 in the class and do not want to take the extra effort on the other 20. The argument that we are teaching the same way to everyone and why isn’t your kid doing well does not hold water. Kids are different and not everyone is the same. Teachers don’t teach the concepts and just expect the kids to understand what they blabber in the class. Some kids need more than that. When you teach geometry or trigonometry, teach them how the solution comes and what’s the concept behind them. When you do that everyone will get the point not just the bright ones. This happened to me when I was in standard X1th. That was the year we got introduced to Integral calculus. I had no clue how it worked. Whatever the teacher taught went way over my head, completely clueless I almost failed my exam. Then I went to the tuition, which I hated at that time but could not be thankful to the guy now. The guy who taught me was young and probably just out of college. He taught me the concepts, made me understand how integral calculus works and you know what in the very next exam where the entire paper was on integral calculus I managed to score 90%. The teacher was in absolute shock. Now the point is I am not dumb but the teacher has no clue how to teach. If a guy right out of college can bring out such a performance out of me in my very first exam since I went to him then there is surely something wrong with the school. The stupid syllabus and 10 chapter’s thing should go and emphasis should be on making the kids understand the concepts better. In that way we aren’t memorizing but understanding what those things in the book mean. When I came to the US I felt that the things we are good at are actually miniscule as we are poor at actual practical implementation of concepts. We keep reading books and vomit it onto the paper and most of us don’t understand what we write. Parents should question the schools when they say your son/daughter don’t cut it as it is not true. The fact is that the teachers and school don’t have the patience to work on your kid. If the tuition teacher is able to get the desired result then you know where is problem is. If India needs to produce quality professionals and not just the quantity then this has to change. Education in India is not for the faint hearted. In the last week alone we had three students killing themselves due to the pressure of education in India. It’s really unfortunate that these kids had to resort to such extreme at a very young age. Education in India has always been this way, pressure filled. There are counseling sessions in India for the 12th STD students right after the results are announced to stop them from taking any extreme measures. The kids are made to believe that their life hinges on those scores and the system makes sure it does. Kids are pushed harder and harder which makes education like taking a cough syrup in India. Lots of kids in India just despise education because of the pressure involved. The system is designed in such a way that the only thing which matters is the marks and the rank you get in classes. If what my teachers during my school days thought about me were true, I wouldn’t be where I am. Every kid cannot be the same and the parents and teachers should realize that. What can we make of an education system which awards the student who mugs up the text books the most? Teachers praise those students to no end. So who is to blame for this outdated system? Is it the government or the parents who don’t realize that you don’t have to win every race to become a champion or is it the teacher who thinks the kid who best vomits the contents in the book on to a white paper is the most brilliant student. Kids get judged based on the marks they get even outside their schools. If someone fails in couple of subjects he is considered to be a bad influence on other kids. Education is India’s wealth, we are known all around the world as brilliant people, techies and what not which makes me proud but at the same time we have to consider the fall outs too. Education is very important but it does not take precedence over a human life. There is place for everyone in this world to survive and succeed. You don’t have to be the most brilliant student to achieve greater things in life. Teachers can help the kid to get better which not many of them try. Good teachers know to bring the best of their students but unfortunately we hardly have a hand full of them throughout the country. It’s not the system but the society and culture in our country which keeps kids in schools. If given an option India would also have similar situation to one in the US. Lots of things have changed with time and that’s how it has to be. People and system evolve with changing times; the education system needs to evolve. Education should make kids curious, experiment, be creative and learn with interest which is hardly the case in India. Instead we teach our kids jealousy, competition, hatred etc at a very young age. I watched “3 idiots” recently and it got me thinking that our system creates more Chaturs (A character in the movie who symbolizes most students in India) rather than aspiring to create more Aamirs (I can’t recollect his actual name in the movie). When that happens, our education system would be a better place for everyone no matter what marks and rank they get. When I think back at my school days, the memories are not that pleasant. School days are the most important part of anybody’s life. School not only gives you education but in many ways teaches the way of life. A kid spends most of his time at School in a day. I was one of the kids who hated the thought of going to school. It’s unfortunate that I felt that way. Schools in India do not make life that easy for the kids. 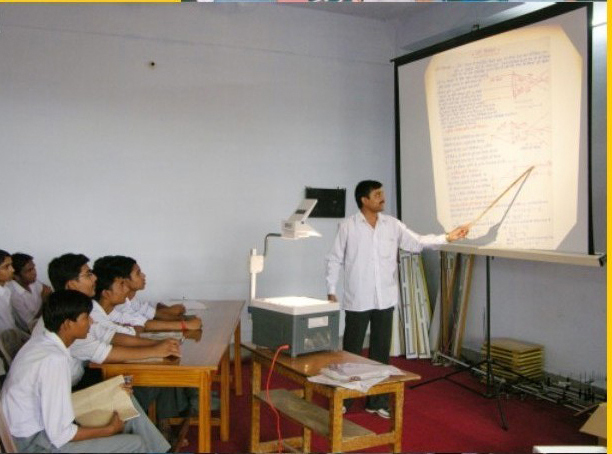 Schools in India teach you lots of things other than providing education, competition, jealousy, frustration and hatred. India has one of the best curriculums in the world and one of the best basic educations but the implementation needs lot to be desired. The problem in India is that education is all about the marks and not the knowledge. The pressure on the students is enormous starting from a very early age. Teachers don’t make life easy for the kids either. They punish, scream, humiliate and make life miserable for the kids who are not in their words “brilliant”. I never found a need to read someone’s marks out loud in front of the entire classroom. There was Botany teacher who actually hit the kids who failed with a cane when giving the papers. He not only did that for the kids who failed but also to someone who scored less than 50 (40 being the pass mark). Did he do that for the welfare of the kids? I will never know. Some teachers are so predictable as at one point the kids are just resigned to the fact that this is what is going to happen if they don’t do something right. 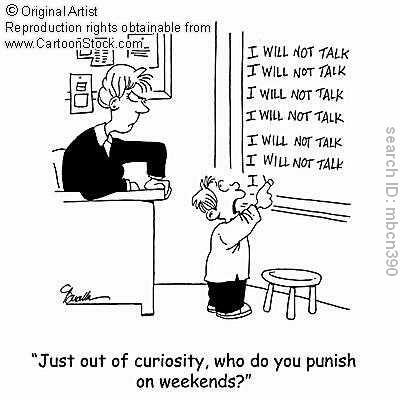 Some teachers get sadistic pleasure in punishing the kids. There was a teacher in my school who used to smile every time she hit someone. It was disgusting. I am not saying every teacher is like that but some of them are. The rage, the anger and the complete lack of rational thinking was something I noticed from some teachers during my school days. I still remember the occasion when I was beaten and punished so badly for something I never did in the first place. This happened when my entire class was getting punished and we were asked to go to the school ground and run a couple of laps as a punishment. I had braces in my teeth at that time and I had the habit of touching my mouth all the times as it can be really painful. Our vice-principal at that time caught hold of me and started hitting me like anything thinking that I was covering my laugh. He never listened to what I had to say and made me kneel down entire day in front of my class. My friends knew that I do that all the time but even if I had laughed, did I deserve such extreme punishment? I am not sure but few people might think I did. But I always felt that no one has to hit a kid to teach him/her a lesson. Well later that week I went over to his office to get permission to take a day off to meet my dentist and he realized his mistake and apologized to me, but I felt the damage was done. I guess there is something about few teachers in India which makes them a scary image for the students. They get angry easily and if they do, then only god can save the kids. Sometimes it feels like the teachers are like a volcano ready to erupt. They try to vent out all their frustration and anger at the first opportunity they get and unfortunately the students bear the brunt. Punishment can be without being physical and still be effective. It’s almost as if we learn as a kid that hitting someone is okay if they have done something wrong. That is hardly a good example for the kids to follow. Teachers I feel need to be an inspiration for the kids, the people we look up to for knowledge and guidance. They need not be friends with the kids but have to be the people whom the kids respect. I felt that a good teacher always gets a better result from the kids. I have been out of school for about 12 years now and still when I think back I hardly have any pleasant memories from my days there. My father was a Bank employee and we had to move around a lot and for some reason I had same experiences throughout my school life wherever I was. I don’t think that things have changed much in India as an 11 year old died after being punished by a teacher at school recently. This is atrocious and I hope that the authorities put to end such corporal punishments. School is not the place for someone to show their personal frustrations and anger. This is an unfortunate incident and my sympathies and prayers are with the beleaguered parents. I hope that parents take the kids seriously when they complain of abuse by the teacher and don’t ignore such things. As far as I am concerned it doesn’t have to be that way. I was an average student at school, went through the system as a back bencher but did okay in the long run. I wouldn’t credit anyone other than my parents and the society we grow in for my success. Education is an important part of a person’s life and it doesn’t have to be a painful experience for kids. Teachers are the important cogs in the wheel of our educational system and they can make learning a memorable experience for the kids. I am not against schools and obviously not against education but school shouldn’t be a place where the kids are scared to go. Teachers need a way to punish kids who are unruly but physical punishment isn’t an answer to it. Parents also need to get more involved in this process. If a child complains of a beating they have to confront the teacher and ask him/her whether they can help avoiding such things in the future. They have to realize that it’s not always the kids fault.